Infiniti Q50 Review 2019 | What Car? Despite having the brains and brawn of Nissan behind it, luxury sub-brand Infiniti has categorically failed to make an impact in the UK’s ultra-competitive premium car sector. In fact, it sells fewer cars in a year than BMW sells in a single month. 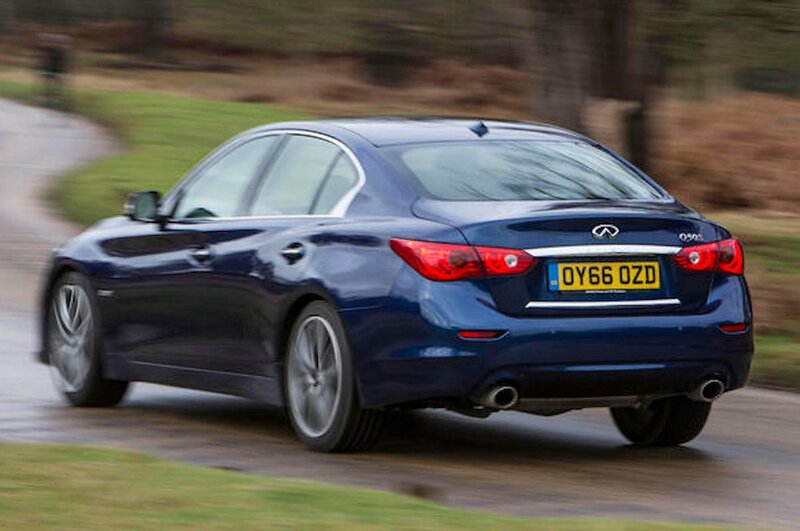 One of the cars it hopes will push sales upwards is this Infiniti Q50 saloon. Sharing a platform with the Q60 Coupe, the Q50 is a striking and sporty looking alternative to its more obvious rivals, the Audi A4, BMW 3 Series and Mercedes-Benz C-Class. 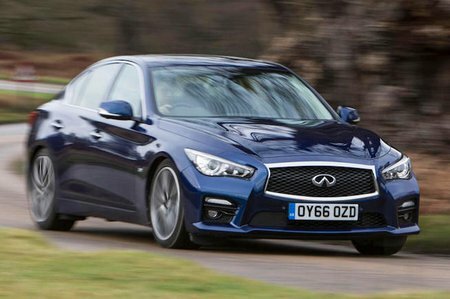 It’s impressively high-tech, too, but peer under the bonnet and, unlike the aforementioned trio, the Infiniti Q50’s options seem noticeably slim. There’s a choice of two turbocharged petrol engines, one low emission hybrid and one diesel. The base petrol 2.0-litre gets rear-wheel drive, while the V6 at the top of the range is available with four-wheel drive as an option. So the Q50 is clearly a left-field choice in this hotly contested class. To find out if it’s worth putting it on your executive saloon wish list, read on over the next few pages. We’ll tell you how it drives, what it’ll cost and what it’s like inside.